RM Mortgage Solutions provide whole of market mortgage advice to people requiring advice on mortgages, remortgages, buy to let mortgages, commercial mortgages and properties abroad. We also provide advice on life insurance, critical illness, income protection, accident sickness and unemployment as well as building and contents insurance. Through our connection with the Tenet Group we have access to many "Exclusive" market leading mortgage deals not available on the high street. RM Mortgage Solutions can help you arrange suitable mortgage and insurance contracts to suit your requirements. We have over 25 years of experience in finding the most suitable solution for our clients' needs. After making our recommendation, we will complete all of the paperwork for you and liaise with the lender and or insurance company on your behalf. In addition, we will keep you updated with progress throughout your application. We are Birmingham based mortgage brokers covering Birmingham and the surrounding areas, including Coventry, Solihull, Burton Upon Trent, Nuneaton and Wolverhampton. RM Mortgage Solutions provide professional advice on all types of mortgages, protection and general insurance. First time buyers Home movers Remortgages Life insurance Critical illness cover Income protection accident, sickness and unemployment cover. RM Mortgage Solutions is an appointed representative of TenetLime Ltd, which is authorised and regulated by the Financial Conduct Authority. I needed bridging finance quickly. RM Mortgage Solutions provided a professional and friendly service and this provided me with exactly the product I required within the time constraints I had. RM Mortgage Solutions organised a remortgage for us and incredibly helpful. They go above and beyond what I would expect and so I would definitely have no hesitation in recommending them to anyone looking for a mortgage. The service provided by was excellent and enabled us to get the most appropriate mortgage for our situation. Our mortgage broker was very helpful and took away the worry and stress from doing it ourselves. I asked Richard to investigate a new mortgage for me as my current deal was about to expire and the interest rate jump to a higher rate. I can not believe how easy he has made the process. 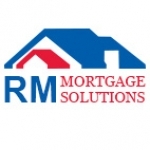 The service from RM Mortgage Solutions has been fantastic and I would encourage others to see for themselves. A fantastic service provided by Richard, who demonstrated a good knowledge of my requirements and offered great advice. Very understanding and he was able to help me through the confusing aspects of mortgages in order to help me gain my first home. HUGE thank you!!! Helped chase up situations and keep things moving for us. Richard explained everything in an easy to understand way and kept it very straight forward for us. Very pleased with service and information received from Richard. Our situation was more complicated than a simple remortgage but we were offered a solution that we would not have easily found on the high street. Richard was very professional yet friendly and helpful, prepared to answer any queries I had no matter how trivial. Everything was explained in easy to understand terms and made what could have been a stressful process very easy. Would not hesitate to recommend Richard to friends or family. It was brilliant we were told in a clear concise way so that we understood everything that we entered into. Our advisor was friendly and helped us get the best mortgage for our needs. We will definitely recommend and use RM Mortgage solutions again. Richard Moring's advice and guidance helped to secure me a mortgage in what were very trying circumstances. He persevered to get me the best deal possible and nothing was too much trouble for him. He kept me fully informed at all times and I would have no hesitation in recommending him to family and friends. A first class, professional service. Thank you. Quite simply RM Mortgage Solutions do exactly what they say they will. They get the job done quickly, efficiently and without any hassle - what more do you want? I will definitely be using them again. Richard was very helpful from the start. He used his computer system to scan the market which cut out all of the research work for us and saved a great deal of time. He explained the ins and outs of the various mortgages clearly and was always available to advise us. We would definitely recommend RM Mortgage Solutions to anyone. I recently approached RM Mortgage Solutions to source a mortgage for me and they were very helpful. I have a very busy lifestyle and needed someone to source a mortgage quickly. Richard arranged an agreement in principle very quickly and the deal was amazing considering my limited deposit. Some friends of mine went direct and faced many problems. Will highly recommend. We were so pleased that we had Richard to sort out our mortgage. He spoke to us in plain English and took care of all the problems that arose. Will definitely use him again. Thank you again.